China’s One Belt and Road Initiative is the colossal project aiming at recreating the ancient Silk Road, once essential for trade between Europe and Asia. BRI is fundamentally an infrastructure development plan which has two different components. The first is the land route stretching from Mainland China to Northern Europe, and passing through Central Asia power-rich countries as well as Istanbul and Moscow. The second is the maritime course, linking the main Eastern China cities to Mediterranean Europe. It will concern Pakistan, Sri Lanka, Horn of Africa’s countries and Greece among other nations. Ideally, these two different paths would meet in the northern Adriatic Sea - in Trieste or Venice perhaps. Currently, 68 countries or regions are involved in the BRI, accounting for approximately one third of the world’s economy. More than 2,000 projects are being carried out as part of the project. One of the most impressive is the enlargement of Gwadar’s Port in Pakistan, a key location for the creation of the China-Pakistan Economic Corridor. BRI is predicted to influence the Chinese steel industry remarkably. To realize the project, several miles of pipelines and railways will be required, accounting for almost 35% of total expected investment. Consequently, demand for steel will increase by about 150 million tons. Given that 20 of the 68 aforementioned countries have not got any smelting capability, and since only 10 are steel exporters, China will likely be the main supplier of this alloy. At the same time, Chinese steelmakers are making more and more investments in Southeast Asia, West Asia and Africa. Along with the BRI comes the opportunity for a large-scale update of Chinese steel mills, mainly located in the East, as well as the development of new and efficient plants in the Western part of the country. Consequently, it is very likely that the peak in Chinese steel total output is yet to come, with a predicted timing of 7-8 years from now. Shanghai Metal Corporation is aware that the Belt and Road Initiative represents a great opportunity for producers and traders in the steel industry. As a company leader in our market, we observe closely any development related to international trade. 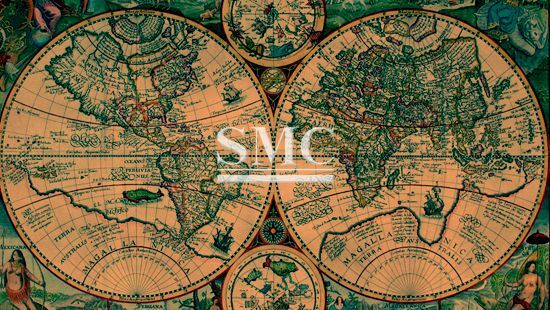 SMC is happy to meet the requests of costumers deriving from changing geopolitical and economic scenarios. For more information and inquiry, or if you want to have a full list of products, please click here.